Ryan is a Gadsden, Alabama native and a lifelong Auburn fan! Ryan moved to Auburn in 2004 to attend Auburn University and fell in love with “Loveliest Village on the Plains”. 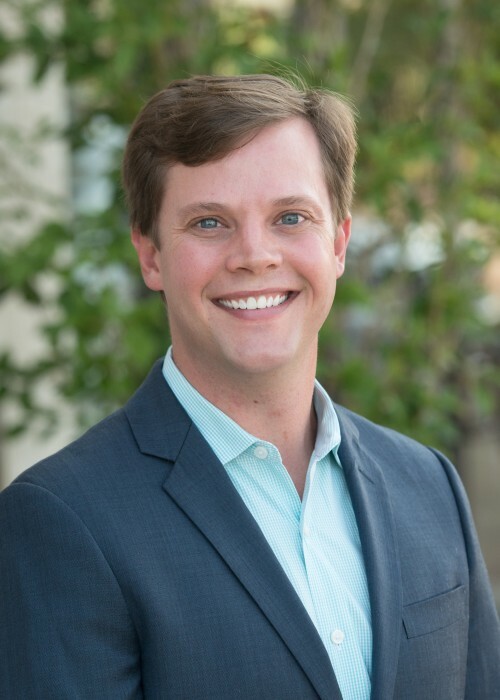 Before pursuing his dream of becoming a Realtor, Ryan worked for Capstone Development where he attained extensive knowledge in Real Estate development, marketing and property management. Ryan and his wife, Ashlyn & their son, Owen live in Auburn with their two dogs, Miller and Lucy. Ryan is ready and willing to assist both buyers & sellers in all facets of their real estate needs. He is dedicated to his clients and does what it takes to see transactions through to fruition. Prior to his real estate career, Ryan worked in marketing and sales, setting him apart and providing his clients with unmatched expertise. Being experienced in the Real Estate business has afforded him many opportunities a large diverse group of both buyers and sellers. Ryan treats each client with personal care and wants his clientele to be comfortable and confident throughout their home search or listing process and delighted when closing on their home. This personal attention quickly made Ryan one of Auburn’s top producing agents. Ryan is a member of Lee County Association of Realtors, Alabama Association of Realtors, and National Association of Realtors. He also serves on the Lee County Association of Realtors Board of Directors and Community Service Committee. Ryan’s accolades include: Lee County Association of Realtors Rookie of the Year 2013, Prudential Real Estate Honor Society award for 2013, #3 Sales Professional in the 2nd Quarter for Prudential agents in the state of Alabama, #2 Sales Professional in the 3rd Quarter for Prudential agents in the state of Alabama, 2014 Best of Trulia Top Agent Award, 2015 #3 Sales Professional in the 2nd Quarter for Berkshire agents in the state of Alabama and 2015 #2 Sales Professional in the 3rd Quarter for Berkshire agents in the state of Alabama. Call Ryan Roberts today and let his professionalism and enthusiasm go to work for you! I can't say enough about Ryan! His interaction with us throughout this long purchase process was invaluable. Many agents may have abandoned this, but he stuck it out through some trying times. I can't express what that support meant to us. I would definitely recommend Ryan to anyone seeking a good agent. Ryan is great at what he does. Helped me buy my first home. With the way my work schedule is, my ability to look at available homes was limited but Ryan was able to work around my schedule to help my find the perfect home for me. Ryan really did a nice job helping us and negotiating a great price on our home in Auburn. Berkshire Hathaway HomeServices's agents are some of the most knowledgeable in the area. Contact Ryan Roberts today using the information above. Ryan would be happy to serve you and answer your questions about Auburn real estate.